This stunning selection of soft pink roses and delightful germinis is with no doubt classical elegance. Delicately arranged with lilac statice flower this bouquet is sure to inspire admiration. Ideal as a surprise, gift and just because, this combination will make her smile. Flowers are just like holding some things thoughts, right in your hand! My boyfriend left for business yesterday, and today this sweetly arranged, hand-tied bouquet arrived to my home. I love it! So beautiful. Totally recommend this florist. Handy Flowers is one of the best florists I've ever used. There really isn't anyone near me that can even compare. Gorgeous, simply gorgeous! My girlfriend was so happy when she received the bouquet! The flowers were breathtaking, thank you Handy Flowers ! 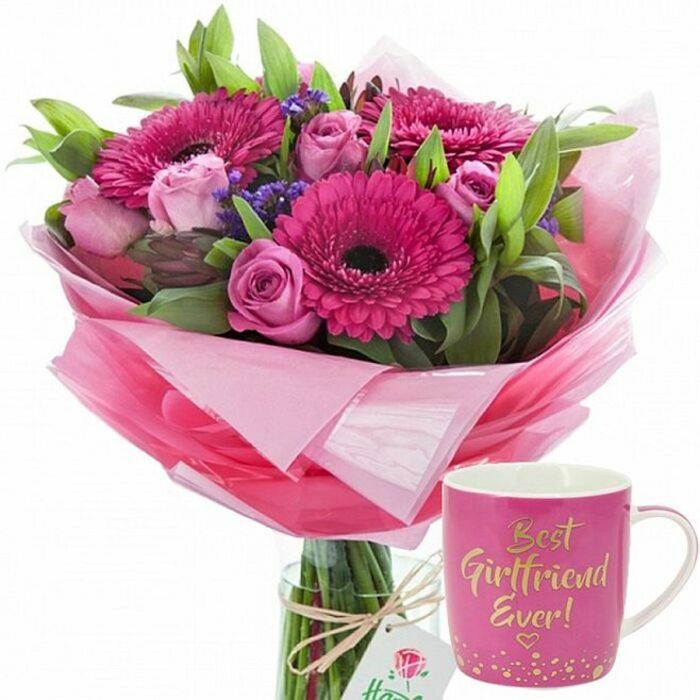 Wonderful flowers, really fast delivery and stunning arrangement.